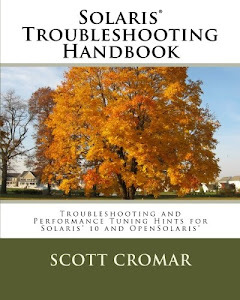 Disk drive connectivity problems on a Solaris 2.x systems can be caused by software, hardware or PROM configuration problems. New devices may require that the appropriate /dev and /devices files be created. This can be done through use of the drvconfig and disks commands, but it is usually done by performing a boot -r from the ok> prompt. Once the system is back, the root user should be able to run format and see the disk listed as available. The disk can then be partitioned and labelled with format and have filesystems created with newfs or mkfs, as appropriate. Problems with the /dev and /devices files can be corrected directly by removing the offending files and recreating them, either directly with mknod and ln -s or indirectly with drvconfig , disks or boot -r (as appropriate). The most common sources of hard drive connectivity problems (once the device files are built) are loose cables and terminators. Check these first before proceeding. Look for the pcia-probe-list or sbus-probe-default parameters and make sure that they are set to the default for your system. Some additional hardware diagnostics are available at the PROM monitor (ok>) prompt. Additional information may come from navigating the PROM device tree at the ok> prompt.